These straight thermocouples assemblies consist of a connection head Form B, a measuring insert per DIN 43735 and a thermowell model TW81. 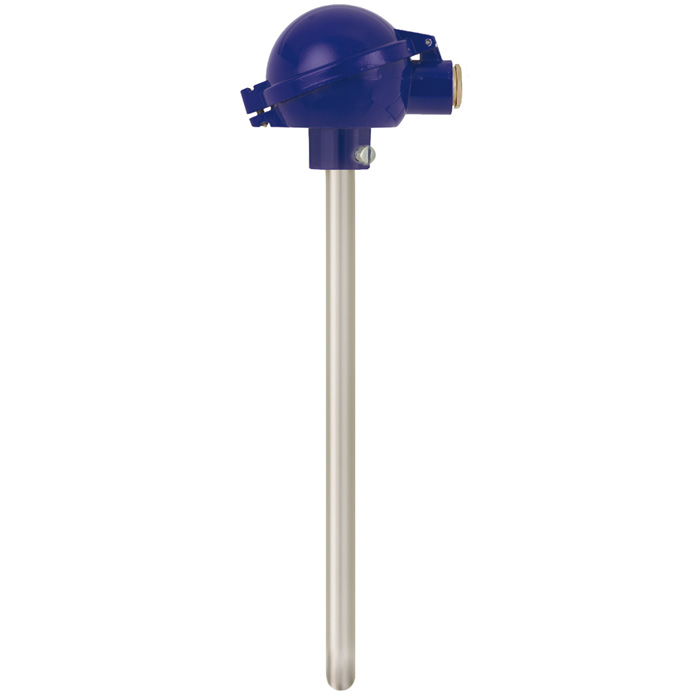 Form A or C DIN-thermowells as well as thermowells with customer specific design are available. Process connection can be provided with a stop flange or pipe coupling, the latter type gives a gastight connection. The replaceable measuring insert is removable. This makes inspection and servicing straightforward. Sensor replacement is also possible during plant operation. Selection of standard lengths enables a short delivery time and the possibility of stocking spare components. 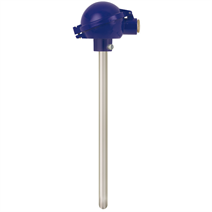 Thermowell material, connection head and sensor can be selected individually for the specific application. Between the transmitter and the control room, lower-priced copper cable can be used rather than specific thermocouple or compensating cable. A cold junction is integrated in all WIKA transmitters.